Nine states and Washington, D.C. have legalized recreational marijuana; many other states have legalized medical marijuana, and there are several ballot initiatives in next month’s elections where many other states will become medical and recreational legal. And with the anticipated passage of the 2018 Farm Bill, it will remove Hemp as a controlled substance, making CBD, which is derived from the plant, legal under federal law. The legalization of hemp will present endless investment opportunities. Companies in the CBD space will surely see a rise in valuations, as many more outlets will now be able to sell CBD products because the grey area around if it’s classified as a controlled substance will be lifted. These companies will also see an increase in conventional and institutional investment as well, which will also contribute to the increase in valuations. Investor interest in CBD, a non-psychoactive component of marijuana, increased after the Drug Enforcement Administration said Thursday it now places FDA-approved drugs with CBD in “Schedule V,” defined as having the lowest potential for abuse. Other products that are classified as Schedule V are over-the-counter treatments for diarrhea, cough suppressants, and muscle relaxers. Brightfield Group, a cannabis research firm, recently raised its projections for the CBD industry, stating that it could reach $22 billion in market size by 2022. 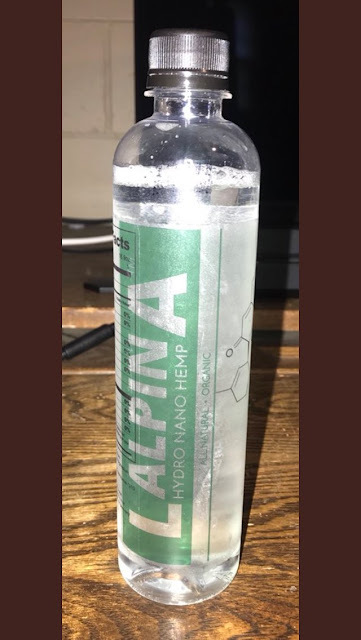 A company well positioned for the legalization of CBD is American Premium Water Corporation, (HIPH) whose stock rose over 600% after the company announced that it had launched its CBD beverage, LALPINA Hydro CBD. The California-based company is the first to market a hydro-nano CBD infused beverage on the market, which is a more effective delivery mechanism for administering CBD into the blood stream than traditional beverages or oils, with up to a 90% higher absorption rate. Studies have shown that CBD beverages can help those who deal with chronic ailments, such as inflammation, pain, and anxiety. CBD also provides huge potential benefits for athletes to not only hydrate with a beverage like LALPINA Hydro CBD, but also to provide workout recovery health benefits, thanks to its analgesic, anti-inflammatory and neuroprotective properties. HIPH is positioning itself for a strong fourth quarter, with the Company announcing there are imminent acquisitions, with four targets identified, three of which are within the CBD/THC sector. The Company announced earlier this week that it had completed its first distribution deal with SinglePoint, Inc where the Company will sell products on SING’s CBD/Cannabis e-commerce channels. SeeThruEquity, a leading independent small cap equity research firm, released a report earlier this year seeing the growth potential of HIPH, giving the company a price target of $0.15. SeeThru’s target is based on the imminent legalization of cannabis and CBD which will see a rise of consumer interest in legal CBD products coupled with the large and expanding market for functional water. · Coca-Cola has been eyeing cannabis-infused drinks. The company said that it's "closely watching" the use of CBD in "functional wellness" beverages. · Brewing giant Molson Coors is planning to launch a line of marijuana-infused teas, seltzers and other drinks. · Heineken-owed Lagunitas recently released an IPA-inspired beer that is made out of hops and cannabis, called Hi-Fi Hops. · Oregon’s Coalition Brewing also released a CBD-infused beer called Two Flowers IPA. · Constellation Brands, manufacturer of beers like Corona and Modelo, along with whiskies, tequilas and vodkas, has invested $4 billion in Ontario marijuana producer Canopy Growth. · Aurora Cannabis Inc. had been in conversation with several beverage makers over the last few months. In addition to American Premium Water Corporation (HIPH), these cannabis stocks are poised to benefit most from the imminent legalization; that should be on top of everyone’s watchlist this month: Aurora Cannabis Inc., New Age Beverages Corporation, Tilray Inc, Canopy Growth Corporation and Aphria Inc. This release contains "forward-looking statements" within the meaning of Section 27A of the Securities Act of 1933, as amended, and Section 21E the Securities Exchange Act of 1934, as amended and such forward-looking statements are made pursuant to the safe harbor provisions of the Private Securities Litigation Reform Act of 1995. "Forward-looking statements" describe future expectations, plans, results, or strategies and are generally preceded by words such as "may", "future", "plan" or "planned", "will" or "should", "expected," "anticipates", "draft", "eventually" or "projected". You are cautioned that such statements are subject to a multitude of risks and uncertainties that could cause future circumstances, events, or results to differ materially from those projected in the forward-looking statements, including the risks that actual results may differ materially from those projected in the forward-looking statements as a result of various factors, and other risks identified in a company's annual report on Form 10-K or 10-KSB and other filings made by such company with the Securities and Exchange Commission. You should consider these factors in evaluating the forward-looking statements included herein, and not place undue reliance on such statements. The forward-looking statements in this release are made as of the date hereof and CG undertakes no obligation to update such statements. You should not rely on the information presented; you should do independent research to form your own opinion and decision. Information contained in our disseminated emails does not constitute investment, legal or tax advice upon which you should rely. The purchase of high-risk securities may result in the loss of your entire investment. Advertisements received by you are not a solicitation or recommendation to buy securities of the advertised company. CG was not compensated by (HIPH) or any other company mentioned in this article.